Henri holds a Mechanical Engineer diploma with specialization in Energy (M.Sc.) from Ecole Polytechnique Fédérale de Lausanne (EPFL) in Switzerland. 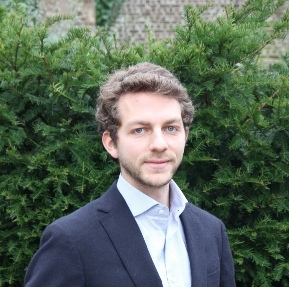 He recently wrote his Master’s thesis on the subject of demand response of power to heat systems at the University of Manchester in the context of energy reserves in the UK energy market. He developed through this project an advanced knowledge about the UK energy markets, machine learning, optimization and power-to-X systems. Previously, he worked at Alpiq Suisse, a swiss energy utility, in the support to asset management department for hydro-electric assets. There, he developed an accurate knowledge about hydropower maintenance and operation and worked on techno-economic studies. Henri also gained experience in solar energy and storage systems through an experience in Kerala, India. There, he was in charge of designing, building and implementing a remote monitoring system on a solar micro grid with a team of local students. Henri is Swiss and speaks English, French, German and Swedish.